Frank was also great father who flew planes, and raced motorcycles . 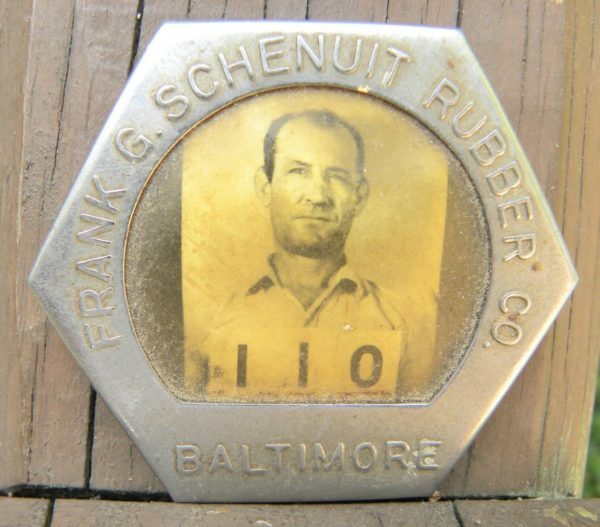 Frank Schenuit was born in Baltimore November 18 1896 and died 1948. 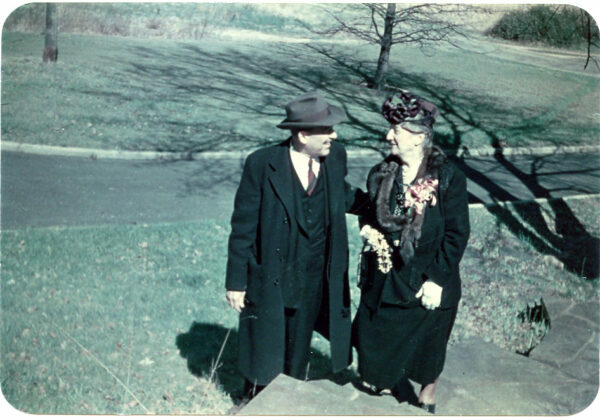 He was the son of alfons William Schenuit and Rosalie Dampmann Schenuit. 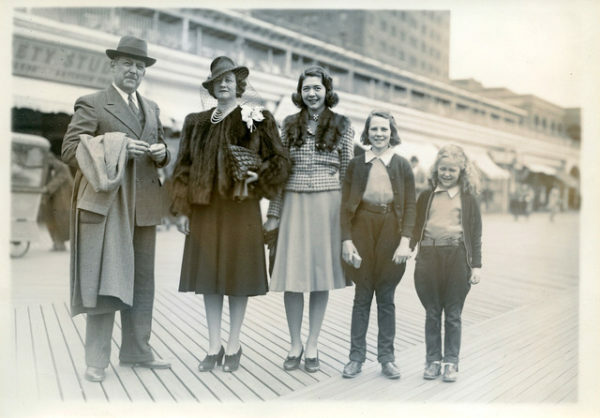 Alfons (his father Alfons was a nationally acclaimed musician who created the first music school in Baltimore see tab on left). 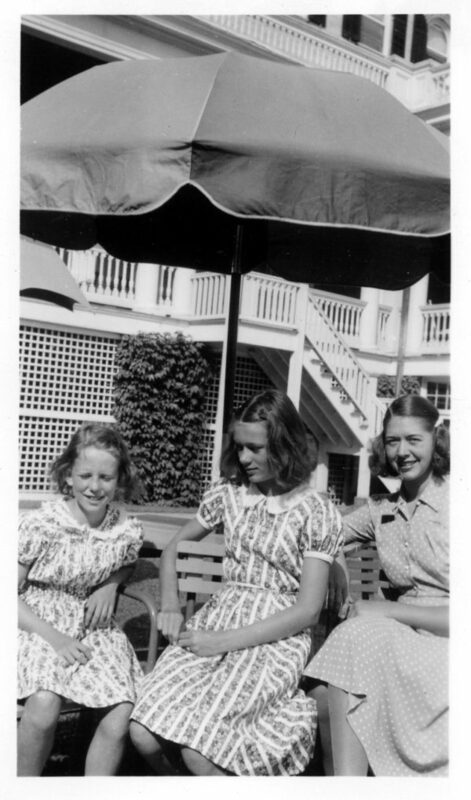 Frank and Hilda had three daughters: Betty, Nancy and Mary Jean . 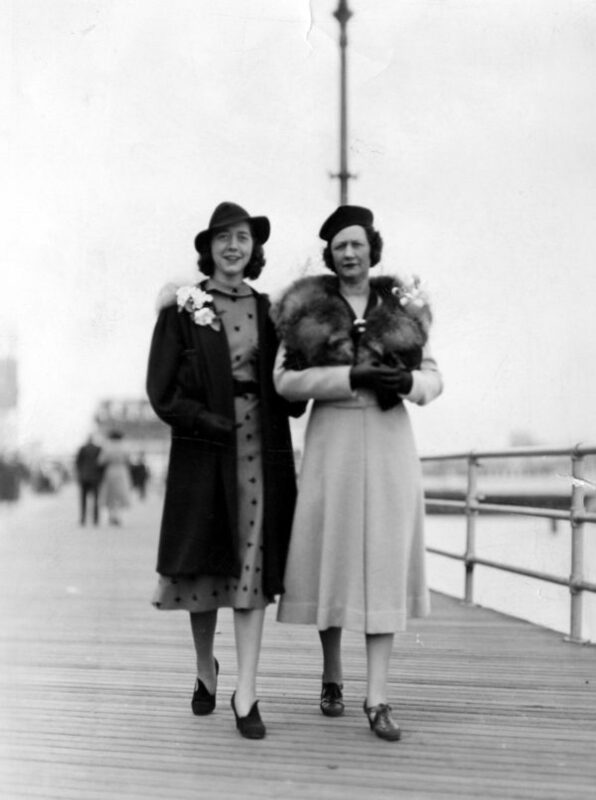 They lived in a mansion on Guilford Avenue below. Frank had many hobbies like: flying , boating, and motorcycle racing . He was also widely known in aviation and racing circles. 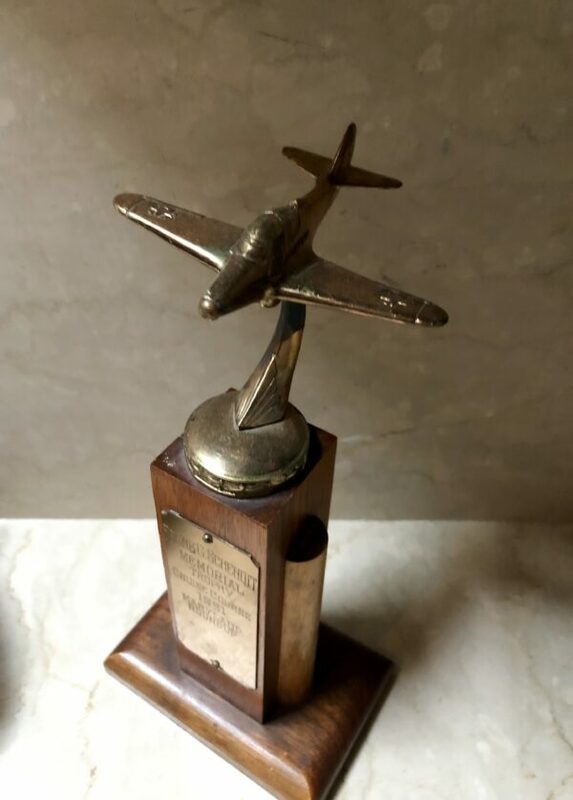 H was an avid plane racer and I have his trophies. They had two planes and one of them could land on water and the other on land. He raced the one plane around huge towers and I have some of his trophies and his flying log . He began flying in 1918 and he is the only pilot in the State of Maryland who has received his Federation Aeronautical License number 764. He has flown from Canada to Florida and I have his flying log . 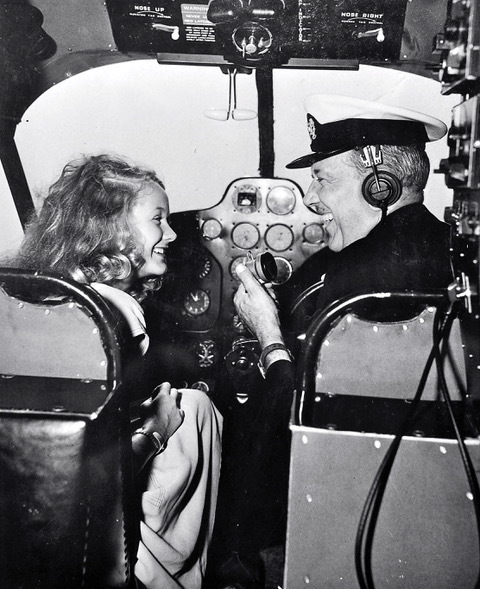 Frank and my mom flying their planes. Frank was an avid motorcyclists that raced and they have badges of him today. 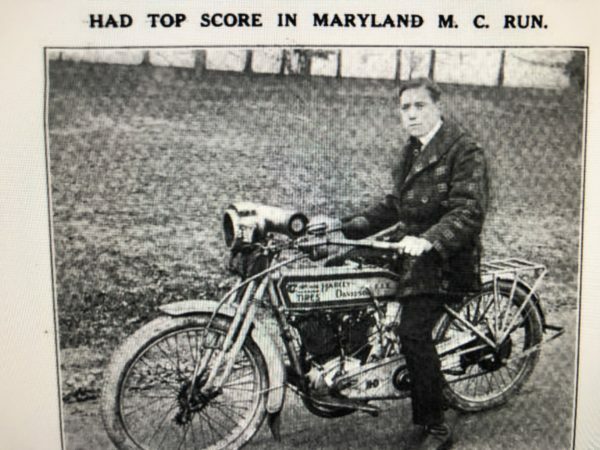 He also won many motor cycling trophies and retired in 1915 as the Maryland Speed champion . 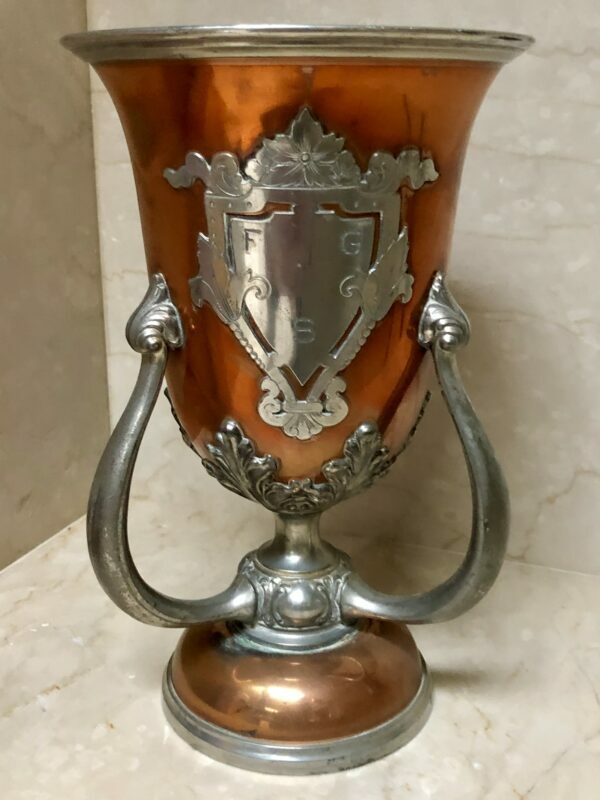 He was also a speed boat enthusiast, and won many races sponsored by the Maryland Yacht club, taking first place at the club regatta in 1931. 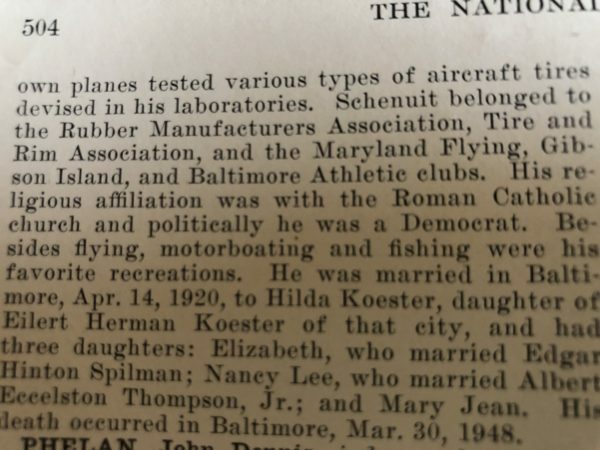 He was a member in the Maryland flying, Maryland motorcycle, Maryland Yacht, Maryland County, Baltimore Country and the Gibson Island clubs. 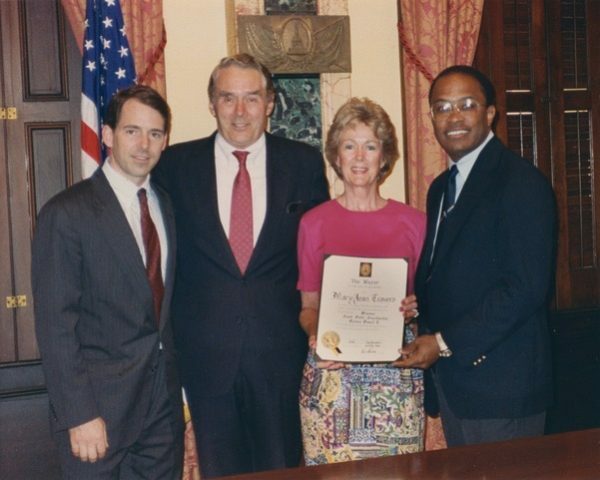 Frank was an incredible business developer and owner . 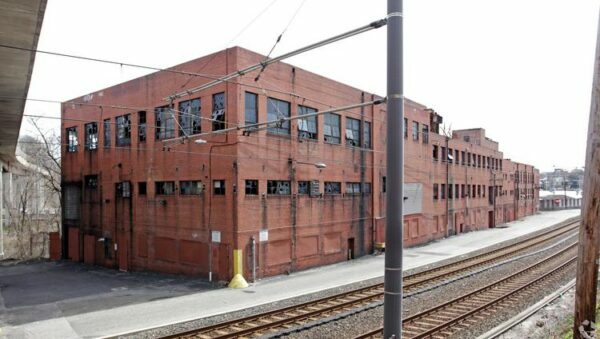 Ever since Frank G. Schenuit my Grandfather, opened his Double Grip tire factory in 1925, his name has been associated with a campus of industrial Woodberry buildings. Frank left a lasting legacy when he had his name spelled out in bricks on the plant’s landmark chimney. 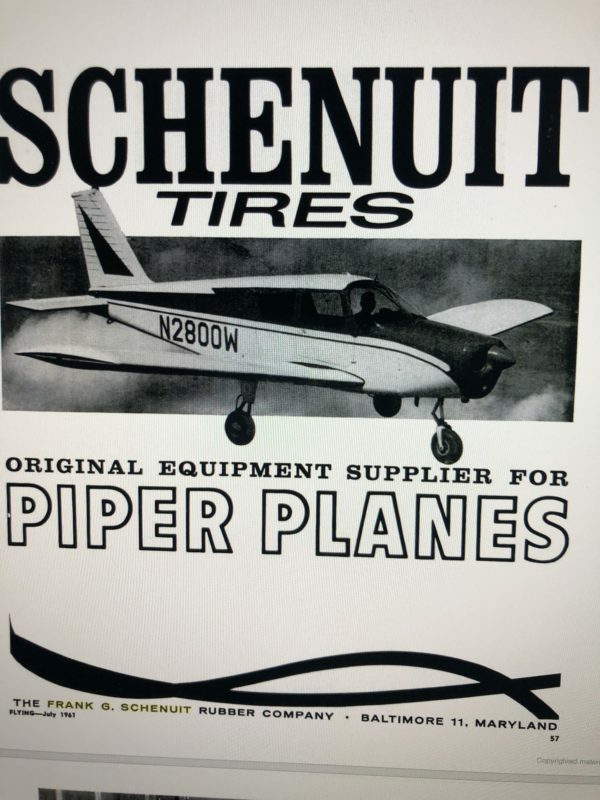 The Schenuit story began in 1912 when Frank Schenuit, as a young man, started making tires for racing motorcycles in his tire shop at 1200 Mount Royal Ave as well taking over the distribution of the Pennsylvania automobile tire and was associated with the India Rubber Company of Akron Ohio. His original sales operation later became an artist supply store that was patronized by Maryland Institute College of Art students. 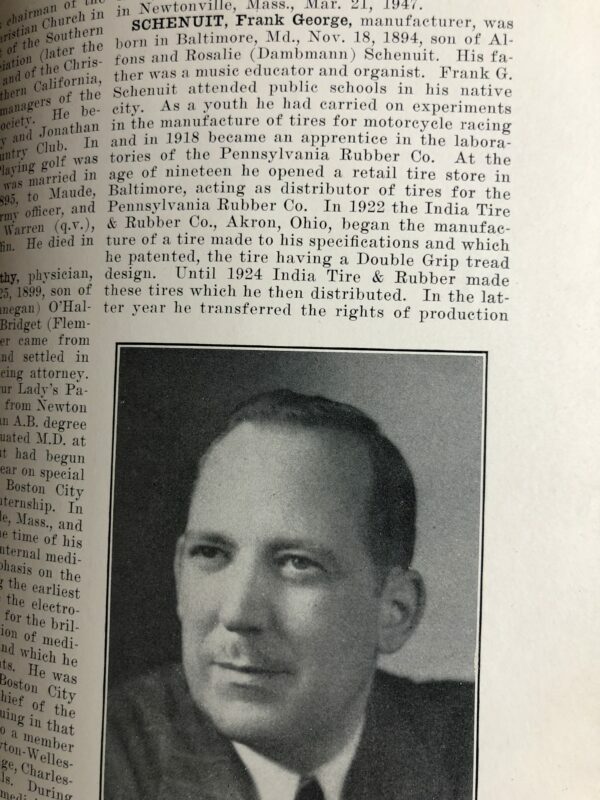 He also patented a non-skid pneumatic tire he called the Double Grip. 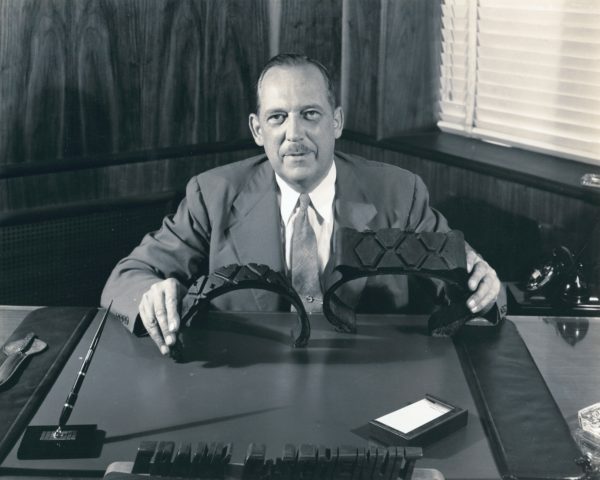 By 1921 he patented and created his own tire in his own plant called “Schenuit Tires”. The plant grew tremendously and they made tires for the United Sates Government aircraft during the war and afterwards. 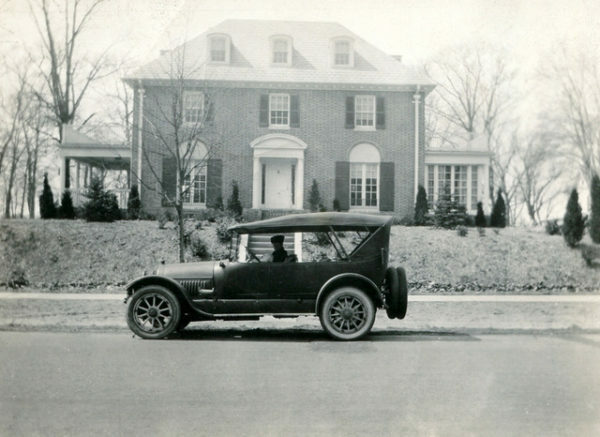 According to Baltimore Sun articles, by 1925 Baltimore’s Mayor Howard Jackson as well as officials of the old State Roads Commission and the Maryland Motor Vehicles Commission were admiring Schenuit’s new Woodberry plant. 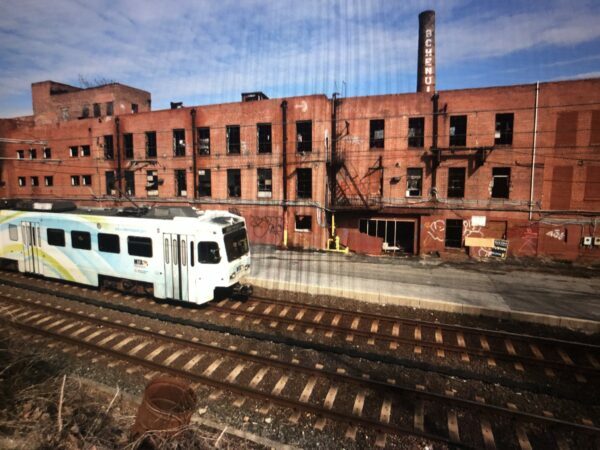 The Sun’s account of the tire plant opening described the Pennsylvania Railroad’s tracks that ran alongside the building, making it easy to ship in raw materials and ship out tires. “Two huge steam boilers, of 210 horsepower, deliver the steam for the curing process,” The Sun reported, adding that the water for the steam came from the adjoining Jones Falls. The plant initially employed 100, but that changed as Schenuit’s sales increased. He was forced to rebuild his whole operation in late 1929 after a major fire destroyed the plant. 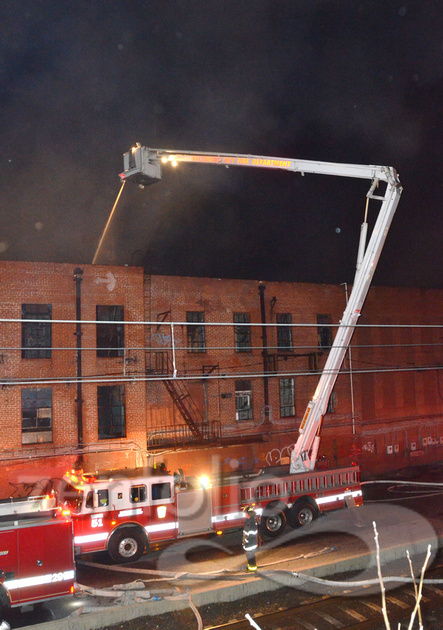 The Sun said that the flames were visible all over the city and that 10,000 people assembled to observe the blaze. 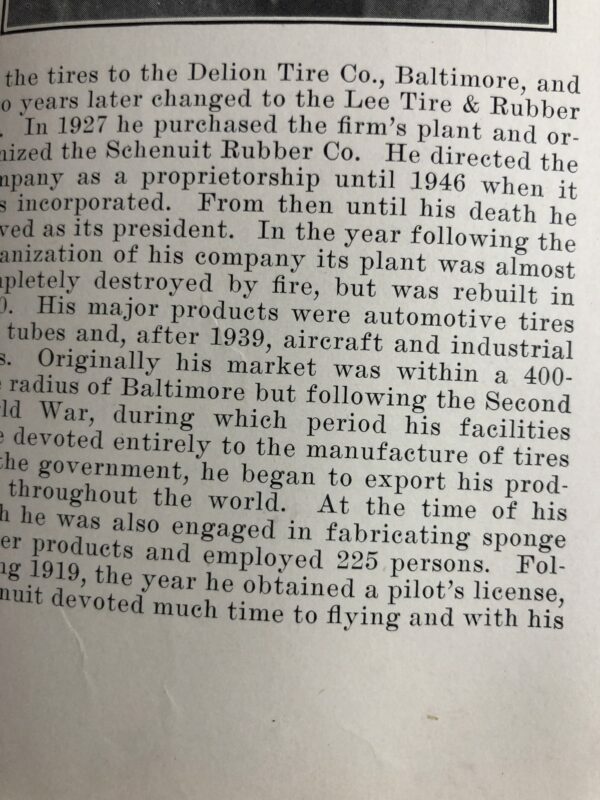 Schenuit advertised “direct factory prices” and pledged that “every Schenuit tire is made in Baltimore,” urging his customers to “patronize local industry and help Baltimore prosper.” The plant went into overdrive during World War II, as did other foundries and industries along the Jones Falls Valley. Toward the end of the war, he supervised another extension of his plant to keep up with demand. The plant was then running three shifts a day and had the biggest backlog of orders in its history. 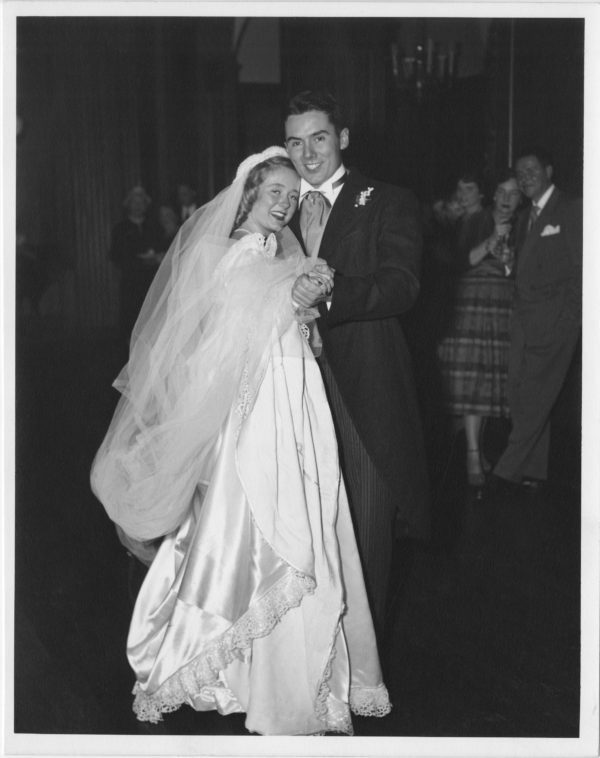 My Father Oliver Travers married Mary Jean Travers – Franks Daughter . 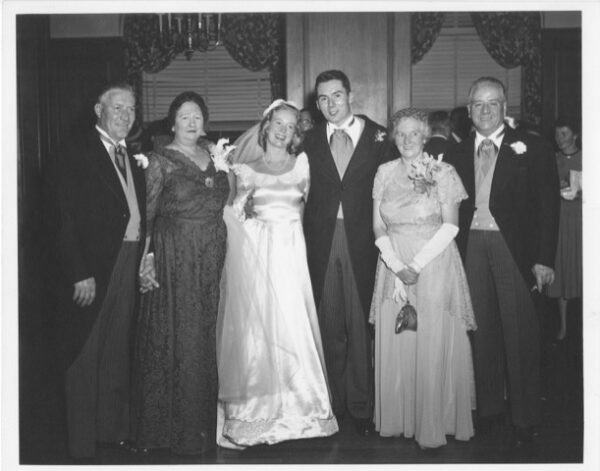 In the photo are from left to right: (frank had passed about 5 years earlier in 1948) So Photo is: Edgar Spilman, Hilda (Franks Wife) , Mom and Dad, Stacy and Oliver Travers Sr.
Frank and Hilda Schenuit, who lived in a brick Charles Street mansion in Guilford, died in March 1948. He is buried in New Cathedral Cemetery.